Top Tory MP reveals plot to bring down Theresa May! Prime Minister Theresa Ma is set to be ousted as Prime Minister if she reneges on her promise to leave the EU's customs union after Brexit according to a senior Tory MP. This comes after prominent Remainer Amber Rudd said the Government position on the Custom's Union wasn't set in stone. 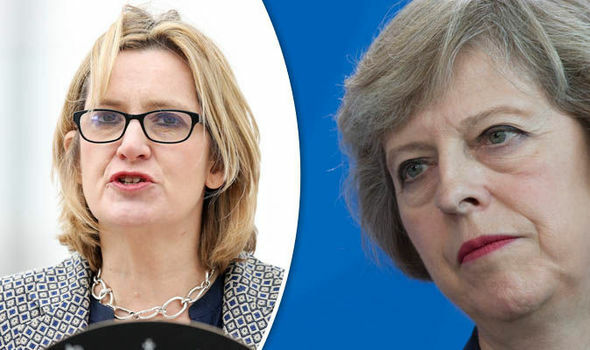 It was expected May would sack Rudd over the Windrush situation but she has stuck by her as she is prominent remain ally in the cabinet as well as Chancellor Philip Hammond. It is expected that if the PM does change her position, prominent Brexit big beasts such as David Davis, Boris Johnson and Liam Fox will all resign from the cabinet. Enough letters would then be sent to Graham Brady who is Chairman on the 1922 committee and a vote will then be held to bring her down. The group of MP's against May have been secretly preparing for weeks but have said they will wait until after the May elections so as not to damage their parties chances of success. Speaking anonymously to the well respected Business Insider magazine the senior cabinet figure said: "Brexit means leaving the customs union and ultimately if Brexit isn't delivered there will be a lack of confidence in the Government, both in parliament and in the country. If that's the case then we're heading for a vote of no confidence in the Prime Minister and a general election. I would support that vote of no confidence. We can't back down on that. It is so fundamental. I can't back down on delivering on the will of the people." Do you agree we need to Leave the EU and all it's institutions? Read: "Leftie News presenter Robert Peston makes SCANDALOUS remarks over Royal Baby name"
Read: "House of Lords set to vote tomorrow to BLOCK Brexit"